* Q&A: How Do Recent Changes to FERPA Help Child Welfare Agencies Get Access to Education Records 2013 Nat. * Questions and Answers: Fostering Connections Implementation 2014 Nat. 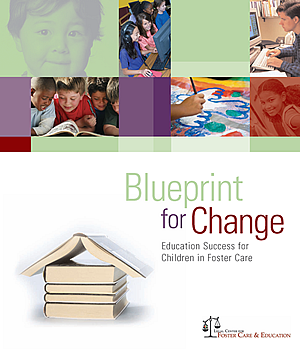 * Q & A Blueprint For Change: Education Success For Children in Foster Care 2009 Nat. * Q & A: How Can We Ensure Educational Success for Dependent Youth in Congregate Care 2014 Nat. * Q & A : How Can Courtroom Resources Support Judges to Address the Education Needs of Children in Care 2013 Nat. * Q & A: How Child Welfare Can Access Education Records Under FERPA 2013 Nat. * Q & A - Federal Laws That Increase Educational Opportunities for Older Youth in Out-Of-Home Care 2009 Nat. * Q & A: Courtroom Education Advocacy 2009 Nat. * Q & A: Fostering Connections 2011 Nat. * Q & A : Postsecondary Education Resources for Youth in and Transitioning Out of Foster Care 2012 Nat. * Q & A: Head Start and Early Head Start for Children in Care 2012 Nat. * Q & A: Credit Transfer and School Completion 2008 Nat. * Q & A: Overlap Between McKinney-Vento and Fostering Connections 2009 Nat. * Q & A: The Link Between Education and Permanency 2009 Nat. * Q & A: Child and Family Service Reviews and the Education Well-Being Outcome 2009 Nat. * Q & A: Surrogate Parent Programs 2009 Nat. * Q & A: No Child Left Behind and Children in Out-of-Home Care 2008 Nat. * Q & A: Mobility and Special Education 2008 Nat. * Q & A: What Child Welfare Professionals Need to Know about Awaiting Foster Care Placement and the McKinney-Vento Act 2008 Nat. How Can Points of Contact Help Students in Foster Care 2016 Nat. Q&A School Discipline 2014 Nat. Q & A: What Child Welfare Advocates Can Do for Unaccompanied Homeless Youth 2009 Nat. Q & A: Tuition Waivers for Postsecondary Education 2008 Nat.